Product prices and availability are accurate as of 2019-04-11 05:29:26 UTC and are subject to change. Any price and availability information displayed on http://www.amazon.com/ at the time of purchase will apply to the purchase of this product. Best gift for students,children ,artists,adult coloring books, everyday coloring fun,different craft projects and activities. 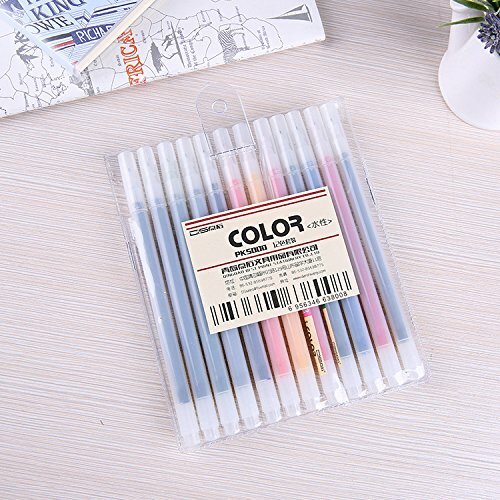 12 Unique Colors with No Duplicates,perfect for tiny detail coloring as well as adding details to larger works,suitable for architectural design,advertising rendering,, scrapbooks, smash books school projects, party invitations, greeting cards, DIY décor& letter and other forms of comic design. Superb writing comfort,line width approx 0.4 mm. Suitable for using with templates. Available in tubes with 12 colors. 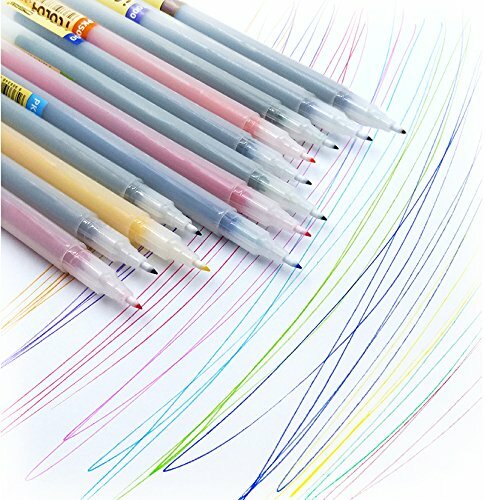 - 12 Vibrant Colors, No Duplicates, drying quickly without smudging and remaining nice and bright . (Black,Olive Green,violet,Deep Sea,Yellow,Dark Blue,Red,Sky Blue,Orange,Chocolate,Grass Green,Magenta). - Great for all artists, writing, sketching, coloring, fine-ink drawings, coloring small intricate patterns,Especially used by the designers of architecutre, AD, comic (Manga) and Animation for drawing lines and signing! 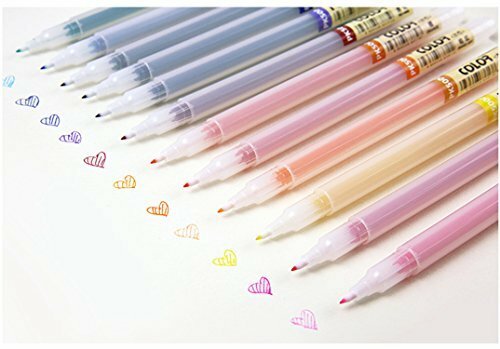 - 0.4 mm fine point, smooth, soft,water-based ink, drying quickly, minimal bleed thru, Acid-free /Non-toxic Ink, these fiber-tipped pens create fine lines and intense water-based colors. 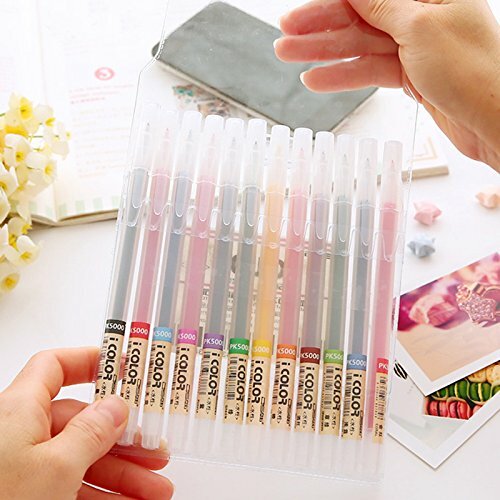 - The pens are thin so they are easy to hold in your hand,comfortable use. Perfect for little kids and adults. - 100% MONEY BACK GUARANTEE- We're so confident that you'll love this pens . If you don't love it - [for whatever reason] - we'll replace it or give you back every cent.